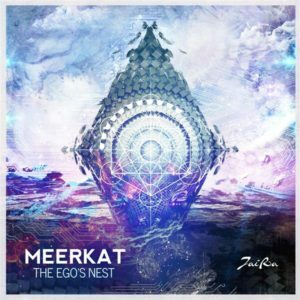 Meerkat returns to the Jaira Records stable with his latest offering: The Ego’s Nest. This 4 track release shows an evolution in production and further deepening of his sound, whilst retaining the original flare and funky forested elements that characterize his take on psychedelic music. Intelligent, emotive and creative; something for all fans of intricate organic grooves! Mastered by Qawabeat with graphics by HoodArt. MP3 Download | FLAC Download | WAV Download · Download count: 13,098. I really enjoyed previewing the album, so I’ll listen to it in greater depth. The link to the video is below. Thank you. A full circle trip! Meerkat roxxx!! Very interesting release! Track #1 is WOW! muito legal as musicas mas os arquivos baixados não esta dando certo. That last song is one of the most beautiful I’ve ever heard in dark prog style… such a masterpiece!! eh piola wacho :D +10 saludos desde argentina perreke!